Complete pompopstelling voor vacuüm netwerken en geschikt voor verschillende afnamepunten. Over the last decade, the idea of lab modularity has swept through the scientific community, stimulating a wave of innovation. The developments have been driven largely by the combined forces of multidisciplinary science facilities and the need for buildings that adapt readily to changing scientific and budget priorities. These new technologies offer the chance to maximize functionality while maintaining flexibility in facilities. Point-of-use pure water systems, modular casework and ductless fume hoods are the most familiar among these technologies. 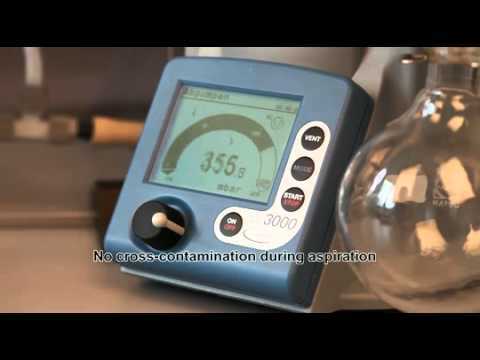 Less well recognized is how vacuum technology has changed as a result of this movement. Industry leaders now offer systems that take advantage of modularity to give scientists in a variety of lab environments the specific vacuum conditions they need, while still experiencing the convenience and economies of multi-user lab vacuum. Modular lab vacuum networks don't consume water or oil, as they use dry-running chemical-resistant pumps to provide vacuum. Producing vacuum on demand saves energy, especially compared with central vacuum systems that operate 24/7. The lab-by-lab installation means systems can be right-sized now (in renovations or new construction), and adapt over time as needs change. Corrosive vapors flow harmlessly through the vacuum pumps, making it possible to recover solvent vapors at the exhaust point for proper recycling or disposal and minimize the uncontrolled release of lab vapors to the environment. 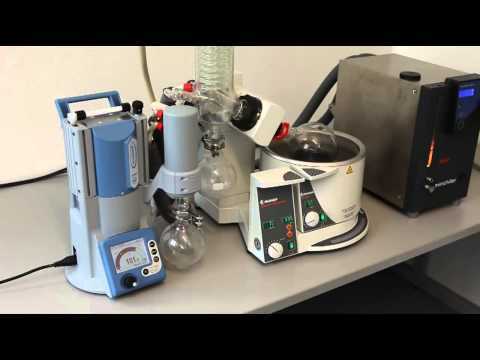 Modular vacuum systems rely on small, quiet pumps that fit entirely underneath a lab bench or fume hood, and are plumbed to bench, fume hood and BSC turrets within the lab. Supporting multiple users with a single concealed pump can save you a significant amount of valuable lab space. Avoiding the need for large central pumps and building-wide piping saves space in mechanicals rooms and plenums. A driving force behind the modular lab movement was the need to create laboratories that could quickly and economically adapt to different demands. With modular vacuum systems, users can adjust the pumping speed and ultimate vacuum of the pump to match the needs of users in each local network. Lab-by-lab installation and built-in check valves allow multiple users to perform distinct applications with greatly reduced risk of cross contamination or vacuum pressure spikes. While central vacuum systems are well-suited to serve multiple users, they are less stable than dedicated pumps and unable to achieve deep enough vacuum for certain tasks, such as evaporative work. They can also provide a route for cross-contamination between labs. To avoid these pitfalls, many labs rely on numerous dedicated pumps. However, this solution consumes valuable bench space and contributes to lab noise. With modular local vacuum networks, a quiet in-lab pump provides vacuum to multiple lab bench turrets, fume hoods and biosafety cabinets. Vacuum is more stable and deeper than it would be from a central system. Plus, it eliminates the need to use many space-consuming pumps, cutting equipment costs and greatly reducing pump noise. The modular approach also eliminates the risk of cross-contamination between labs through vacuum lines, as each vacuum network is isolated from others. As lab buildings have become more adaptable over the last decade, so too have vacuum systems. Now, rather than installing a single, centralized vacuum system that serves the entire building, designers can outfit individual labs with local vacuum networks. Unlike traditional vacuum systems, modular vacuum networks don’t consume water or oil when they run. And because they produce vacuum on demand, rather than all the time, they save a lot of energy. Finally, modular vacuum supply can be adapted to the needs of chemists or biologists, and prevent cross-contamination and pressure spikes. Add a controller, and your bench vacuum can even replace a programmable vacuum system!